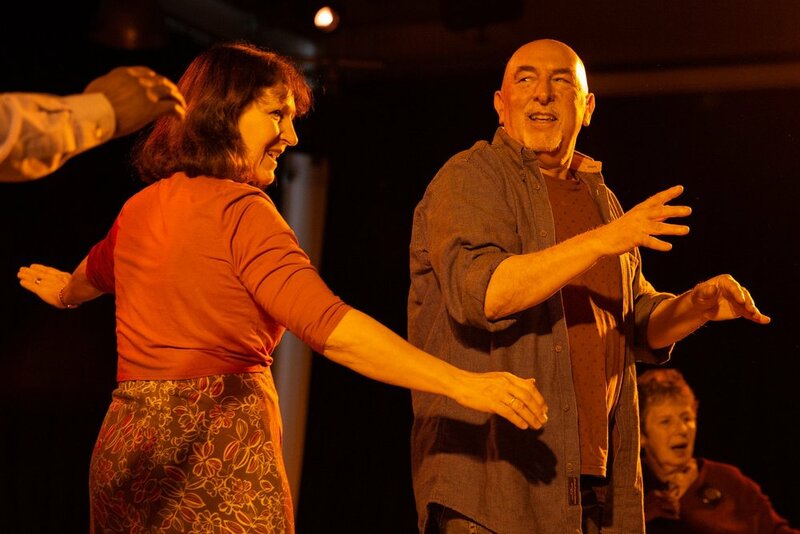 What makes Parkinson’s Dance so special, and what do the dancers and their carers gain from it? I am one of a rapidly growing group of ‘Parkinson’s People’ across the world who face the reality of living with Parkinson’s; an incurable and degenerative chronic illness. My initial reaction to the diagnosis was of shock. Had I somehow brought this on myself (as one of our ‘friends’ suggested, little realising the distressing impact of his words in those early days)? At the time my husband and I were expats living and working outside the UK, and it was difficult to find local support or information. I read everything I could find in English on the internet to make sense of this strange new world. The key advice was to exercise, so I joined a gym, took up pilates, used the stairs rather than use the lift; but no one around me knew very much about Parkinson’s or what I needed, and I often felt like a ‘special case’ to be handled with care. Not wishing to be a burden I kept my thoughts and worries to myself, and looking back I put a lot of energy into playing down my symptoms and pretending that I was fine when emotionally I really wasn’t. Shortly before we were due to return to the UK, and purely by chance, I was told about a Parkinson’s Dance class held in a sheltered housing complex with people much older than myself. I decided to join the group and loved it from the beginning. I was warmly welcomed despite my limited language skills, and found the sessions really supportive. There was no need to discuss or comment on our respective health situations; after all that was what brought us all there. I could take part in the exercises knowing that my teacher had been trained to work with people with Parkinson’s. If my tremor showed or I got the steps wrong it didn’t matter; I wasn’t the odd one out any more, and for the session at least I could concentrate on the music and dance, and feel ‘normal’ again. My confidence returned, and I found that seeing the situation positively can make things so much better not only for ourselves, but also those of our family and friends. On our return to the UK, finding another dance group was a key priority. Through an evening physiotherapy event at the NHNN I heard about Danielle’s plans for a new group based at the hospital, and I was fortunate to be invited to join them. Once again the positive feeling of belonging to a supportive group with a shared experience and a positive, experienced teacher (often mentoring similarly enthusiastic and skilled mentees) has been vital to my own well-being, and by extension to my husband and children. Danielle’s lovely smile, enthusiasm, creativity and empathy shine through, and every class is a pleasure. As dancers rather than patients we are able to let go of our worries and lose ourselves in the exercises. No one is singled out for special attention, but where necessary we can count on a supportive arm to hold, or a few foot stamps to encourage us if we ‘freeze’ for a few minutes. Everyone is respected and valued for themselves and their contribution. I realised how important the weekly session is to me, when some visitors asked me to join them in an excursion on a Thursday morning. My immediate response was ‘but I can’t possibly miss my dance class’! 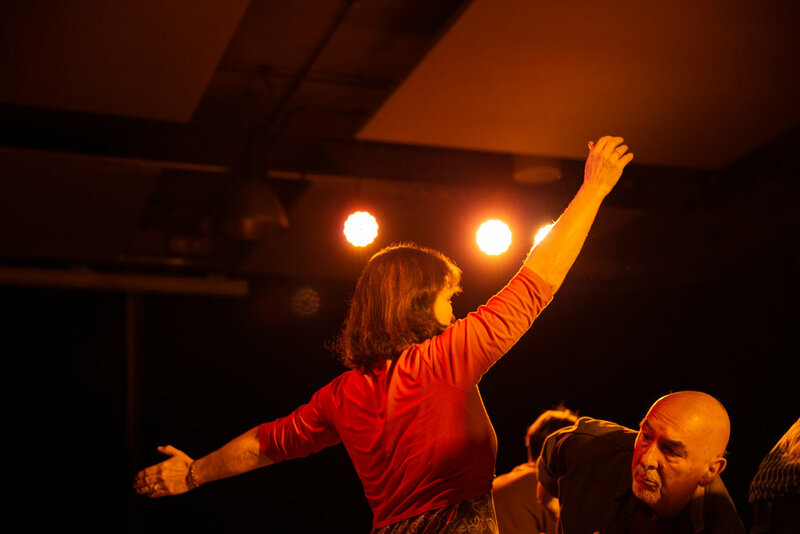 The value of our Dancing with Parkinson’s class goes far wider and deeper than the physical benefits of the exercises. Yes, we stretch and strengthen our muscles and that is important. But we also smile, laugh, support and care for one another. By leaving our Parkinson’s ‘baggage’ behind us for the duration of the class, it feels so much lighter when we have to pick it up again. Long may the classes continue and many thanks from a grateful dancer!